Quintessentially British, runner beans are one of the easiest of all vegetables to grow. To many people, summer is incomplete without them. From the classic wigwam of red-flowered, green-podded beans, to dwarf cultivars and white or bi-coloured flowers, ‘runners’ can add an ornamental as well as productive dimension to the garden. There is a wide range of runner bean cultivars available, in both climbing and bush (dwarf) forms. Sow runner beans indoors, ideally in a greenhouse, from mid-April and plant out from late May. This is a good idea if you are keen to harvest early crops, you are gardening in northern areas or you garden on heavy soils. When the soil has reached 12°C (54°F), usually by mid-May in the south, and two weeks later in the north, seeds can be sown in their permanent positions until the end of July. Sowing in July as well as in April/May prolongs the harvest, allowing you to gather beans until the first frosts. Runner bean seeds are large and easy to sow. They need warm conditions to germinate. Soil preparation: In the autumn before sowing, improve the soil with organic matter. A pH of 6.5 (slightly acid) is preferable; add lime if the soil is more acidic. 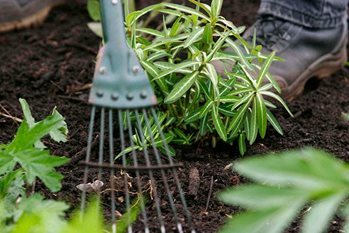 In early spring, if your soil is heavy and wet, it can be pre-warmed by covering it with clear plastic or cloches for about four weeks before sowing. Making a bean trench: Runner beans thrive in a rich deep, fertile soil in full sun. A bean trench is a traditional way of preparing the soil, especially if your soil is poor, but is not essential as the usual digging methods are just as good. Plant out pot-raised beans in late May and early June, one plant per cane. Alternatively, sow your chosen runner beans from mid-May until July, 5cm (2in) deep, two seeds to a 2.4m (8ft) bamboo cane, spaced 15cm (6in) apart; thin to one seedling per cane. When planting double rows, space the two lines of beans 60cm (2ft) apart, allowing 1.5m (5ft) between rows. Sow bush cultivars 5cm (2in) deep, 30cm (1ft) between plants and 50cm (20in) between rows. Beans are ready when the pods are less than full length, snap easily and while the seeds are still small and pale in colour. This is usually at about 15-20cm (6-8in) long. Pick the beans regularly to encourage further pod production; every two or three days is ideal. If beans are allowed to go to seed on the plant, they will stop producing flowers and beans. Traditional cultivars have a climbing habit and require tall supports. They are heavy-cropping. For recommended cultivars please see the results of our runner bean trials. Non-climbing bush or dwarf runner beans produce respectable crops of rather lower-quality beans than the climbers. They are useful for raised beds and container gardening or gardens in exposed positions. For bi-coloured flowers, try ‘St George’ AGM (climber), ‘Hestia’ (dwarf) or ‘Painted Lady’ (climber). Sometimes pods do not set. Usually this is due to lack of water, but there are other causes. See our profile on Runner beans: failure to set pods for more advice. Occasionally, runner beans are affected by fungal diseases such as runner bean and French bean rust and bacterial diseases such as halo blight. One of the more common pests of bean is the black bean aphid. Red spider mite can also occur especially in warm, dry conditions. The southern green shield bug is a relatively new pest found on runner beans and – though it is only found in certain locations at present – is more serious than the native shield bugs that do negligible harm to runner beans.